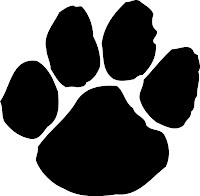 Paws on Main is on this 2nd Saturday, July 11th, in addition to featuring live entertainment, sidewalk sales and dining Manayunk will be encouraging patrons to bring their pets to Main Street. This event benefits the Philadelphia Animal Welfare Society and will feature PAWS Central at Main and Lock Streets from 12PM to 4PM. Visitors will be able to pamper their pooch at a charity dog wash, unleash their dog's creative side with Picasso paws or meet their new best friend - dogs and cats looking for homes will be up for adoption. A special Pooch Parade will start lining up at 12PM at Main and Lock Streets, and all marchers will be entered to win a raffle of fabulous Manayunk prizes. Totally Posh will be holding a sidewalk sale so that visitors can come shop with their pets. We will also be donating a gift certificate for the prize winner of the pet parade!